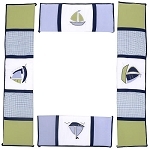 Keep your baby's laundry stowed away and out of sight with this Zachary Hamper by Nautica. 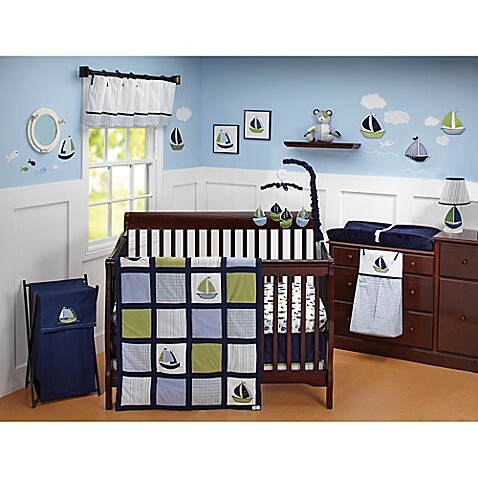 This hamper features a whimsical sailboat on a navy blue background, a perfect addition to the rest of the Zachary Collection by Nautica. This hamper features a net bag inside the hamper that allows air to circulateand does not allow clothing to become stale. 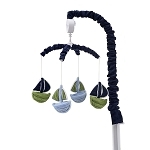 It alos has a wooden frame that can be easily folded for storage. 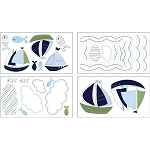 Hamper cover and net are machine washable. Mesh bag included for easy loading on laundry. Removable fabric cover. 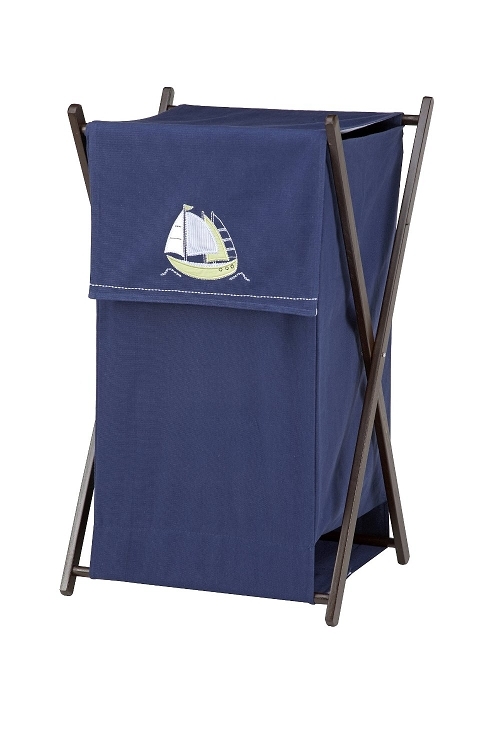 Folding stand for easy storage. 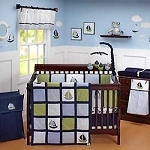 Coordinates with other Nautica kids crib fashion and accesories.